Dealing with hair breakage can be quite the pain! It is quite surprising that a strong fiber like hair could also break and believe it or not, hair breakage can lead to hair fall. Wondering why or how hair breakage takes place? In reality, the strength as well as elasticity of your hair comes from the presence of strong chemical bonds also known as disulphide bonds. These are extremely strong bonds that play a vital role in holding keratin protein within the hair cortex together. The strength of hair is also dependent onthe moisture content. Moisture enables the disulphide bonds present in your hair to retract and stretch to normal time and again.In the absence of disulphide bonds, your hair would break every time you comb or brush. Hair breakage occurs only when the elasticity and strength of your hair is not at its optimum level. This happens primarily due to chemical processing like the use of highlighting, perms, bleaching, keratin straightening treatment, and a generous use of various heated styling aids. It is surprising how much damage chemical processing can do to your hair. It raises the hair cuticle permanently, which means there will be continuous and excessive water evaporation around the hair cortex. This lack of moisture leads to hair breakage. Although, it is not possible to completely bring back hair cuticles to normal, using of corrective products including conditioners can undo some of the damage caused to your hair. Human hair can break at any point in time naturally and this happens to just about anyone. It is the quantity of hair breakage that can be concerning. If the breakage is so much that there is a fear of going bald then it becomes important to take necessary action. Natural hair breakage can happen due to the deficiency in intake of minerals, use of chemically corrosive products etc. Even though human hair looks tough they can be prone to severe breakage issues if not managed properly. Some of the causes of severe hair breakage are natural while others can be use of chemical, use of different styling processes, and even medical conditions. One of the important aspects to understand is that if you don’t try to find an immediate solution the first time you experience breakage then it can lead to severe breakage problems and even baldness. Why is my hair breaking: What Causes Hair Breakage? There are several elements that can cause thinning of hair, weakening of roots or follicles and these eventually lead to hair breakage and loss. It is considered to be quite common to women irrespective of their age. Iron deficiency is considered a major cause of hair weakening, breakage, and loss and almost 1 in 5 women in the USA suffer from iron deficiency or anemia. Some of the causes for hair breakage are quite common while others are relatively lesser known. For example: Stress can do a lot of damage to your hair. It can cause hair breakage, early aging or graying, and even hair loss. Toxic chemical exposure, deficiency of nutrients in food, allergic reactions, and hormone imbalance are some of the factors that lead to hair breakage. Heredity: It's in the family! How often do you stretch your hair? If you are planning to go for styling then it is important to remember that tight braiding or tight banding will overstretch your hair eventually leading to weak strands. Tip: Never stretch wet air as it is more susceptible to breaking under stress. Have you checked your diet lately? Is it low on protein? Why protein? It is because human hair primarily consists of keratin, which is a type of protein. Keratin protein is created from amino acids that are extracted from protein food intake. 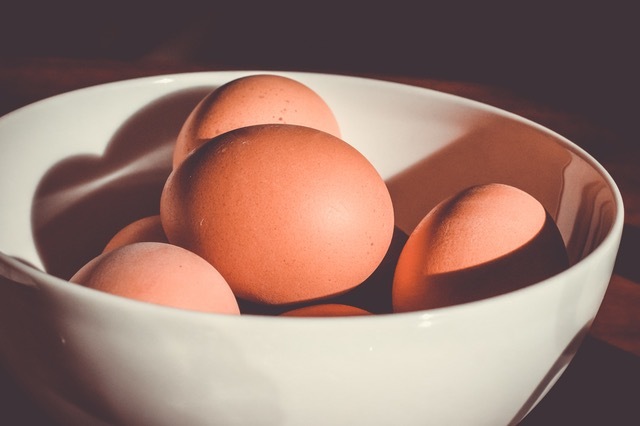 If your diet is low on protein then it can lead to thin and weak hair strands that will break easily. Did you know diets low in iron, zinc, and Vitamin B-12 can lead to hair breakage? Hence, it is important to check what type of food you are consuming. For example, lean or cooked beef and toasted wheat germ are high in zinc. Similarly, mollusks and pork contain zinc, iron, and vitamin B-12. Several research studies have claimed that shampoos that contain sulfate are harmful to hair. This chemical compound is most commonly known as Sodium Lauryl Sulfate (SLS). It is a cheap and powerful detergent that aids in the removal of grease. SLS damages hair follicle, which will lead to hair breakage and lack of proper hair growth. It is extremely important to choose and use the right type of comb for your hair. A comb that has thin-tooth or one with seams should be avoided as they can really tug your hair and cause mechanical breakage. It is safer to go with seamless combs that have the wider tooth. Lupus: This causes hair to become extremely brittle. Thyroid problems: This is one of the leading causes of scattered hair loss. Cancer like Hodgkin's Lymphoma. Heavy metal poisoning especially arsenic or thallium poisoning. Fear not! Just because your hair is breaking and falling doesn’t mean there is no way to repair this damage. There are several ways by which you can fix hair breakage. Hair coloring or application of heat can definitely make your hair strands stand out and give you that distinctive style but they can also lead to hair breakage. Similarly, bleach, chemicals, and heat help in drying of hair but also make them susceptible to damage, especially breakage. The question is what will help you to fix hair breakage? Here are some solutions that will come in really handy! 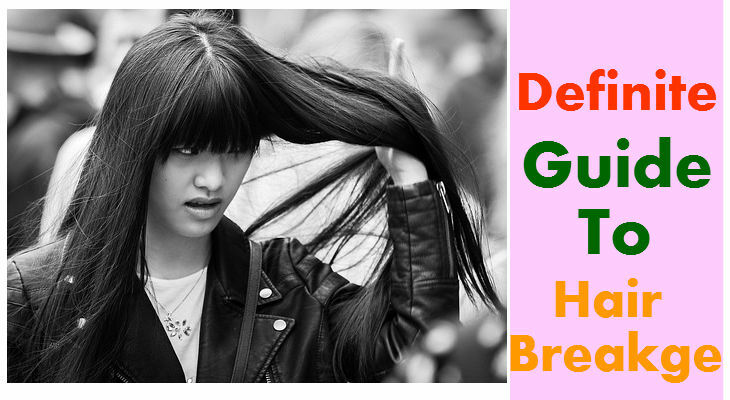 Your hair is breaking because it is dry and brittle. Giving an extra dose of moisture can surely make your hair stronger. It is recommended to use a hair mask or deep conditioner at least once a week. If you are planning to go for hair styling then it is recommended to apply a heat tamer spray or serum prior to using the heat styler. If your hair is breaking off then they are presumably weak and damaged. This means your hair has lost its elasticity. In such a situation, it is recommended to use a de-tangler as it will prevent any over-stretching of your hair especially during shampooing or combing of hair. Hair breakage can happen after any type of hair treatments. Hence, it is recommended to use nourishing hair masks, which help in hydrating and softening of hair. This process helps in strengthening of air and repair existing damaged strands. Nourishing hair masks should be before and after any type of hair treatments. Did you know cotton pillows are bad for hair? If you have a habit of tossing or turning too much then cotton pillows can lead to severe hair breakage. It is safer to go with charmeuse or silk pillows. Using a conditioner is must when having a bath but keeping your conditioner on when combing can help protect your hair from further breakage. Surprised to see your hair breaking off? Are you scared of permanent hair loss? There is nothing to be alarmed as several solutions are available that will help in repairing hair breakage. Let's look at some of the most popular solutions. Yes, it is time to get a trim! Trimming helps in getting rid of the hair breakage problem almost instantly. Tip: visit a professional trimmer or stylist and have all the damaged ends removed. If your hair has split ends then trimming becomes absolutely necessary. you should use hair products that contain antioxidants. Antioxidants are quite effective in correcting any hair damage that has been caused by chemical treatments and the sun. Tip: use products that contain artichoke or rice extract.Antioxidants are also used in serums, conditioners, and shampoos. You can also go the herbal way and use botanical extracts and plant-based biopolymers. One of the most effective and cheap natural treatments available for repairing hair damage. It protects the hair from losing any protein thus strengthening it and improving overall appearance. Rinsing your hair using conditioners after a bath will protect your hair from any further damage. As for moisturisers, when you buy a shampoo, look for active ingredients like amino acids. Your hair needs protein! The best way to repair hair breakage is by using products that contain hydrolyzed protein. They are available in the form of serum, cream and sprays. Your hair needs proper nutrient just as much as you do! Protein is the most important component of healthy hair. So eat food that contains protein like dark leafy vegetables, salmon, beans, seafood, poultry, and citrus fruits among others. You need to drink plenty of water too! The more you apply heat to hair, the dryer and weaker they will become leading to hair breakage. Ensure you use less and less of flat irons, blow-dryers, and curling irons as they can severely damage your hair. Tip: If you are using heat, ensure the temperature is not above 75°F/190°C. Avoid them! Chemical treatments are used for a variety of styling needs like hair straightening, perms, bleaching, and application of hair dyes. These treatments can actually weaken and damage your hair.treatments, bleach, and hair dyes are the most damaging things you can do to your hair. Harmful UV rays are emitted from the sun and these can severely damage your hair. UV rays are responsible for making hair dry and brittle. The only way to protect your hair from the sun is by applying zinc oxide. Always try to detangle wet hair using your hand or by running your fingers through it. This will prevent any hair breakage. Braids, tight ponytails, and cornrows are not recommended as they can cause damage to your hair leading to breakage and hair loss. Are there any treatments available for hair breakage? Yes, there are plenty of treatments available but it is always advisable to go the natural way. When you use natural treatment methods and home remedies, the chances of your hair becoming strong and healthy is higher as compared to using chemical treatment. Mix these ingredientstogether and applyonly on moist hair and massage on scalp. Keep your head covered for 30 minutes and then rinse off using lukewarm water. Hot oil massage of the scalp will strengthen hair follicles and make the roots stronger. Oil should not be burning hot but lukewarm. You can use a wide variety of oils although coconut oil is most recommended. You can also use other natural oils like corn, mustard, lanolin, castor etc. After application of oil, leave it overnight and rinse in the morning using lukewarm water. Sounds surprising? Well, onion is rich in sulphur, which is effective in stopping and further prevention of hair breakage. Apply it to your hair and wash it off after a few hours. Onion juice also enables the growth of new hair strands. 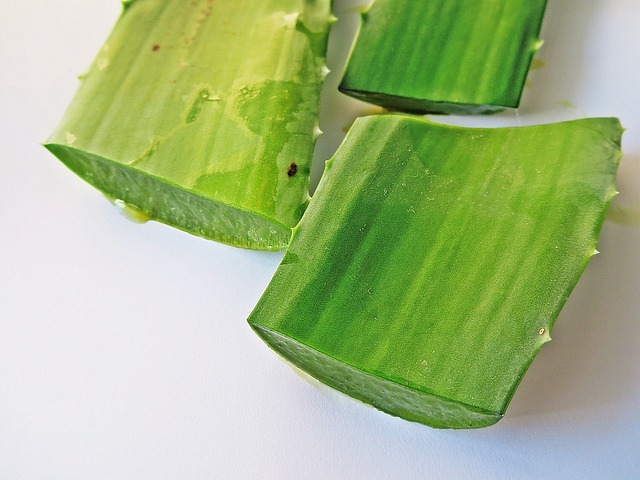 Last but not the least; Aloe Vera is considered as the most effective natural treatment for strengthening hair. It also helps in moisturising hair so that you can have lustrous and soft hair. Hair styles are a personal affair and so is the problem of hair breakage hence it is important to maintain healthy hair always. The healthier you hair, the better your style! Aloe vera gel is a natural hair care treatment for hair breakage and hair growth. It also keeps the dandruff and hair shedding to the bay.